I appeared in Jekyll & Hyde with Bromley Players in 2013. Costume – Period costume required (set in the 1880’s) although I have seen it performed in modern setting. Special permission would be required from the rights holders to do this. This show is based on Robert Louis Stevensons classic thriller novel. It is the tale of one mans battle to try to separate mans evil nature from it’s good and in doing so Dr Jekyll unleashes the darker Mr Hyde. In order to perform this show well you must have a male lead (playing age flexible and could range from 25-50) who can only sing very difficult songs but can act convincingly both characters and flip between them in seconds. It is a big sing for who ever takes the role as depending on the version licensed he has around 15 numbers and they are rarely off stage. You will also need a large amount of men able to pull of the rest of the parts. A small amount of doubling is possible to ease the need. You will also need 2 strong females – one to play the prostitute Lucy who has a big belty number and it would assist if she can move well and another to play the top soprano role of Emma. There are some good numbers for the ensemble such as ‘Facade’ and ‘Murder Murder’ however the size of the ensemble is flexible – it can be small and in the Union production I saw there was maybe an ensemble of 3-4 or it can be large and 20+ depending on the directors vision. You also have a range of playing ages for both men and women so it would appeal to most societies. This is another show that can be done with imagination. The production at the Union was performed with just a brick wall set with a few backdrops and the production I was in simply had 2 flats which revolved depending on the scene we were in. As Jekyll & Hyde is set in the 1880’s period costume is necessary. Some of the costumes must reflect that of the wealthy – the board of Governors of the hospital, Jekyll, Sir Danvers and Emma however you will also need the other end of the spectrum with the people of London, Lucy and the rest of the prostitutes. The biggest demand on this show is the lighting rig. That being said you do not need moving lights but with some simple gobos you could create some good effects. The rig does need to be able to cope with sudden mood changes such as in Confrontation. 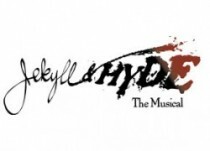 Jekyll & Hyde is written for 17 players however it can be cut down without loosing it’s quality if you have a good musical director. As mentioned above if you are looking to downsize the band (potentially to save a few pennies) an MD with this ability is a must. The director needs not only to have a strong vision but to be able to get a lot out of people and really know how to portray the differences between Jekyll and Hyde. A choreographer is not essential for this show. ‘Bring on the Men,’ is really the only potential dance number and is a good opportunity to use any dancers you may, have however it is not essential for this number to be a big dance routine. If no choreographer is used then a director familiar with movement is useful. This is not a family show. Some scenes, depending on how they are played can be verging on explicit and violent so it is not one to sell to the family crowd. That being said whilst the musical itself may not be a big name musical the show may sell on the strength of the book and the story which many would have heard of even if they do not know it. There are also some big songs in there which people may know and not know that it was from ‘Jekyll & Hyde,’….. ‘This is the Moment’ is a good example of this so pop a few of those in the press release and that may help shift a few more tickets. Jekyll & Hyde may be a good choice for a society who doesn’t want to do a fluffy, happy show but wants to go down the darker route. If you have been successful with a show like Sweeney Todd then this show is probably a good choice,, if however you normally perform G & S or Rogers & Hammerstein your normal audience may be a little shocked at some of the content. If you have a large society with a range of ages that have a good vocal ability then this is a good option to investigate further. If you like Frank Wildhorn you may also want to check out his other shows such as Civil War, Bonnie & Clyde and Dracula. TIP – Frank Wildhorn is on Twitter and we found him willing to retweet promotional material for our show! Is it possible to cut the jekyll and hyde orchestration down to just the 3 keyboards, bass and drums? or if not what do you suggest the smallest that it can be cut down to? I’ve just had a chat with our MD and he said that using that number he would suggest Percussion , bass, 2 keys and a reed player (rather than the 3rd Keys). He is happy to discuss further and if so drop me a message on the contact form and I can put you in touch!